As you probably know by now if you’ve been following me for a while, I really love statement pockets! The skirt pockets on the Matilda dress have to be some of my favourites. Not only are they roomy and super practical, but i love the architectural nature of them. Instead of the pocket opening simply folding over, we have included a separate pocket tab piece. I love this feature because it leaves you open to making the tab out of a contrast fabric, playing with direction print placement and also provides stability to the pocket opening and prevents them stretching out. 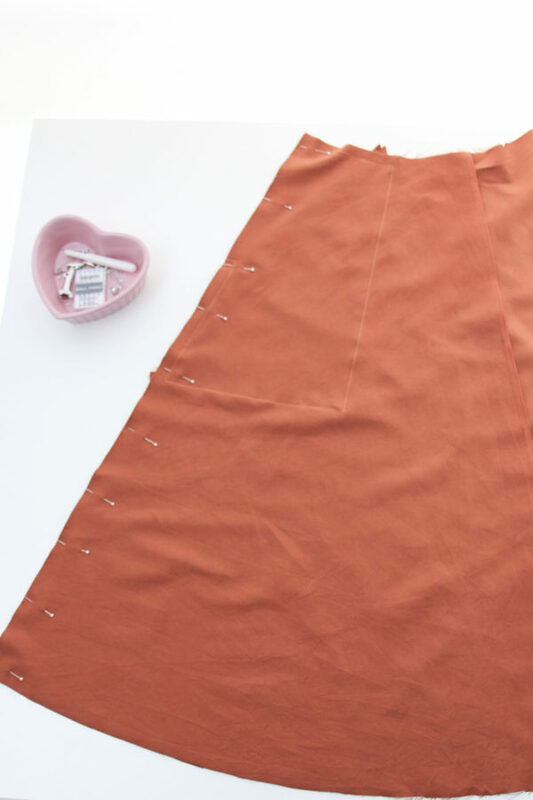 Today i’m going to show you how to sew the pockets, add them to the skirt and sew all the skirt panels together. 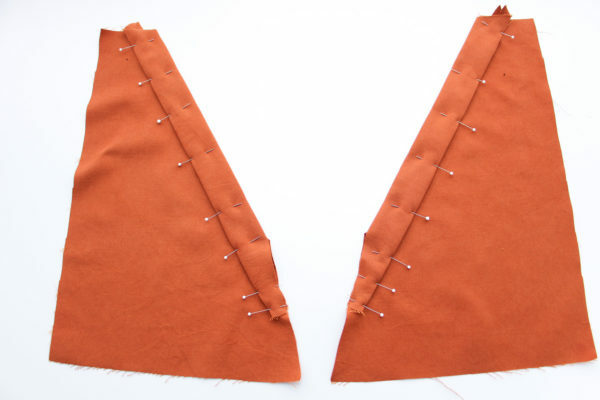 If you decide not to add pockets to your skirt, you can simply skip those parts, and put the skirt panels together as shown. Fold the Pocket Tab  in half with wrong sides together and press. 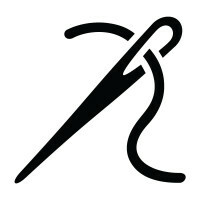 The reason we do this is that it makes it much easier to correctly fold over and topstitch the tab later on. Open the Tab and fold in one raw edge by 5/8” (1.5cm) and press. Repeat for the second pocket tab, ensuring that you turn in the opposite raw edge so that the pocket tabs are mirror images. 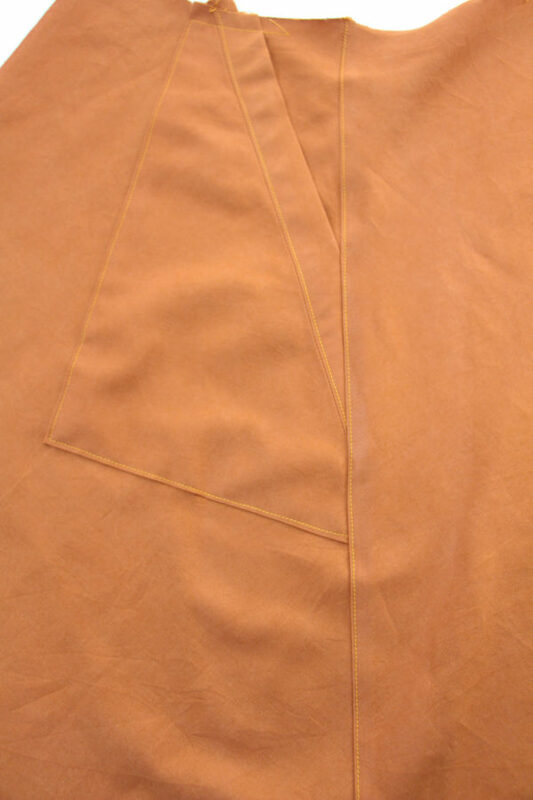 Place the Pocket Tab  on the Skirt Pocket  with right sides together ensuring that the notches are aligned. Sew pocket tab to pocket opening 5/8” (1.5cm) from the raw edge. I like to sew exactly like this, with the tabs on top. Since the pocket opening is cut on the bias, putting it underneath will help the feeddogs ease it in and prevent stretching. 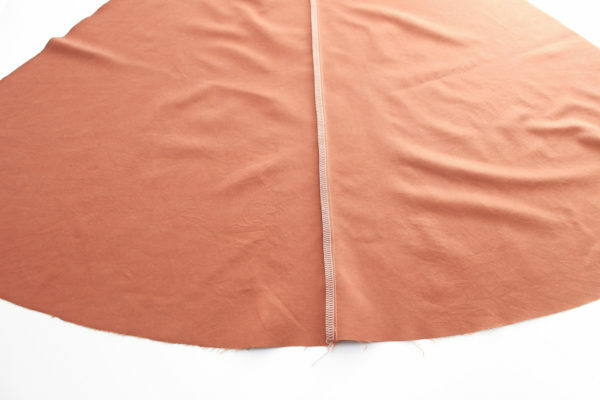 Press the tab and seam allowance up away from the pocket, but try and avoid pressing out the centre crease as you’ll want that in the next step. 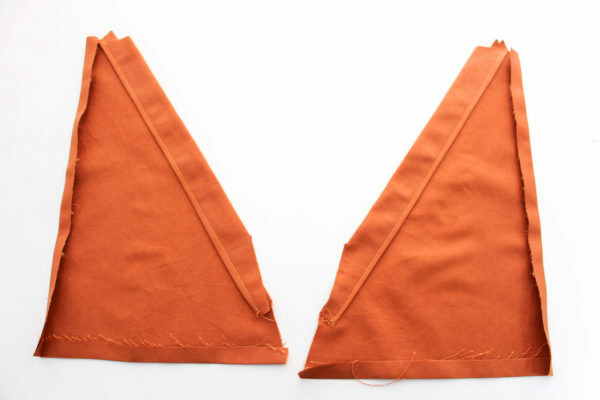 Fold the tab over to enclose the seam and topstitch closed just under 1/8” (0.2cm) from the edge. 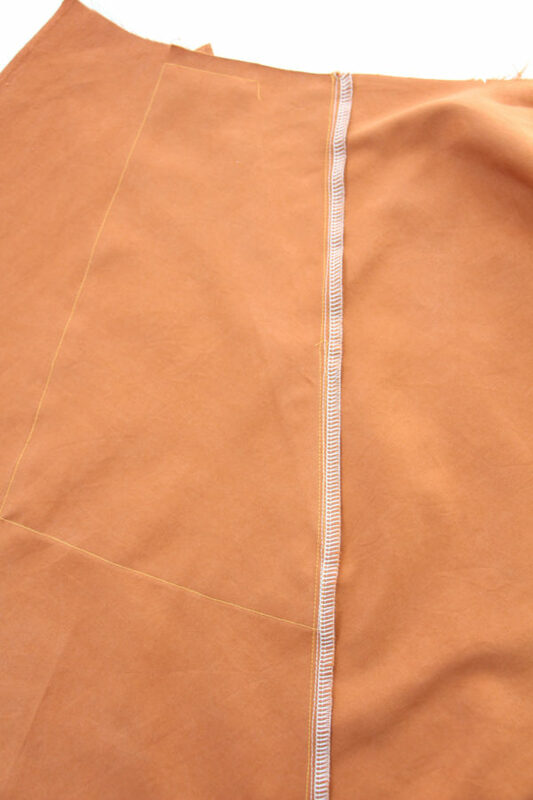 Make sure you are topstitching on the right side of the fabric. Fold pocket side and bottom edges in by 5/8” (1.5cm) and press. 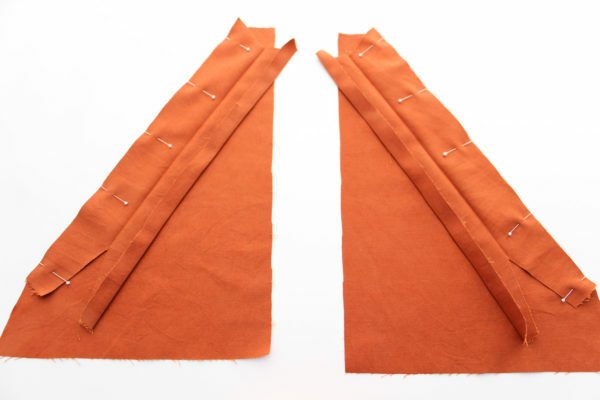 Place the skirt pockets on top of the Skirt Front  with right sides of both facing outwards and pin in place. 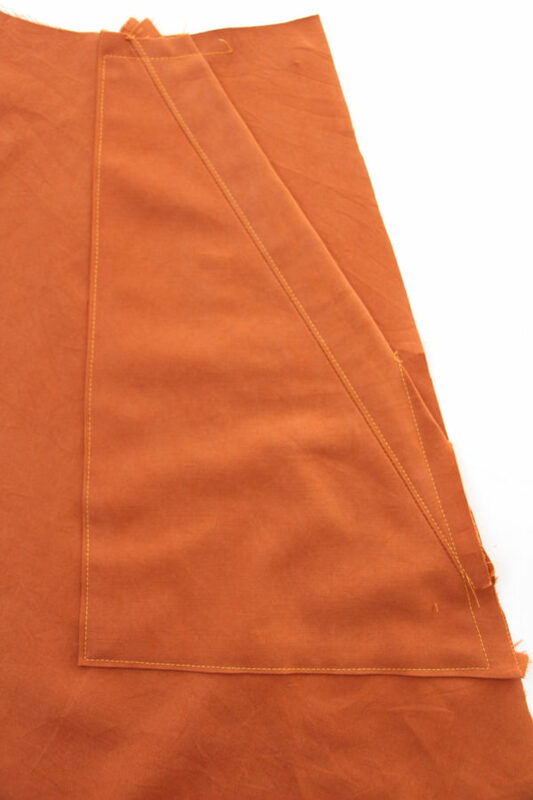 Ensure that the pocket lines up with the notch on the waistline of Skirt Front. 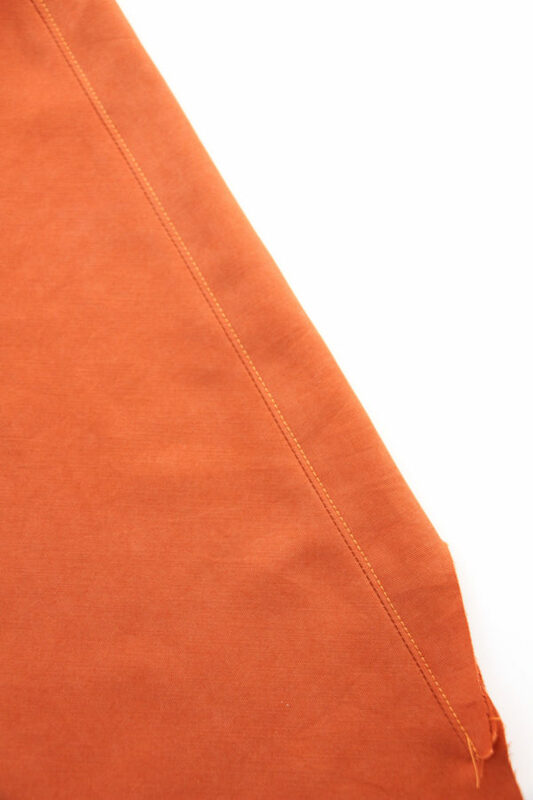 You’ll notice that the skirt side seam notch is not used for lining up the pocket. 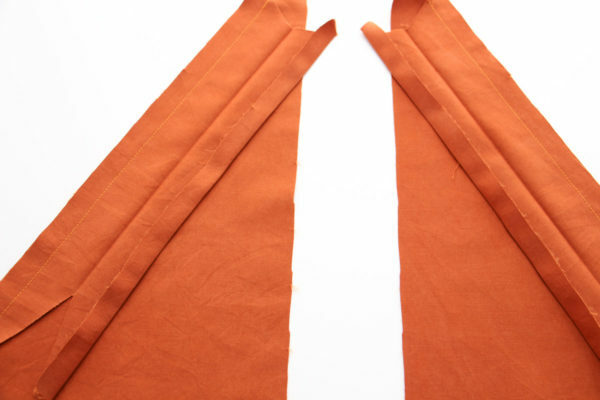 That’s because it is used for matching up the back and front skirt pieces. 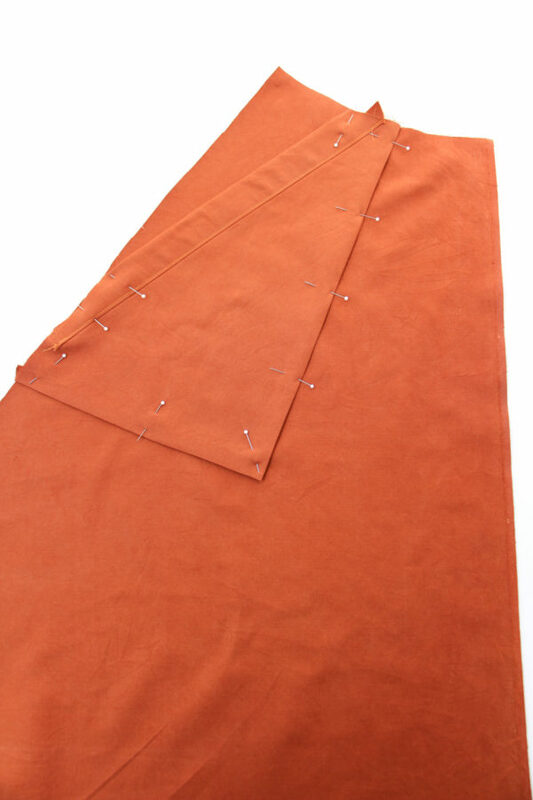 Topstitch around the folded edges of the pockets to attach the pockets to the skirt. Baste the pockets to the skirt at the waistline and side seams. I like to topstitch around 2mm from folded edge, and when i baste along the side seams i like to do it 1/2″ (1.2cm) from the edge. That way i keep everything in place but my basting doesn’t risk showing when i sew my side seams. 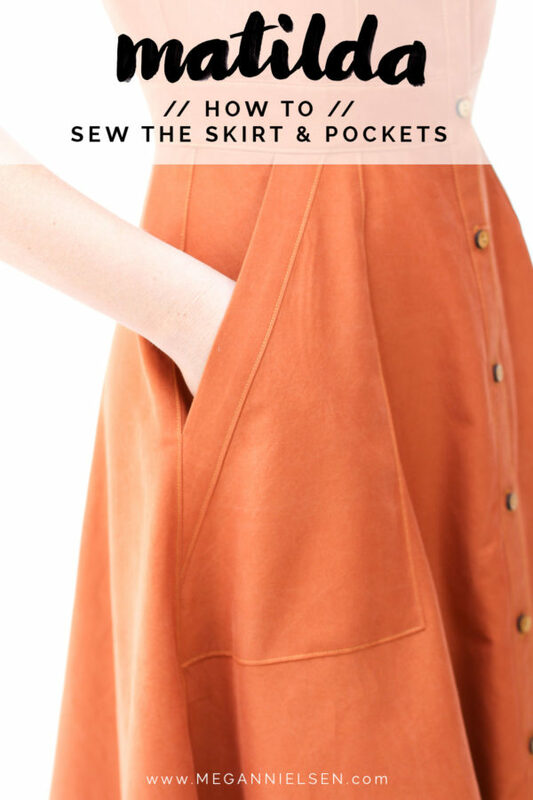 Repeat for both pockets and both sides of the skirt. 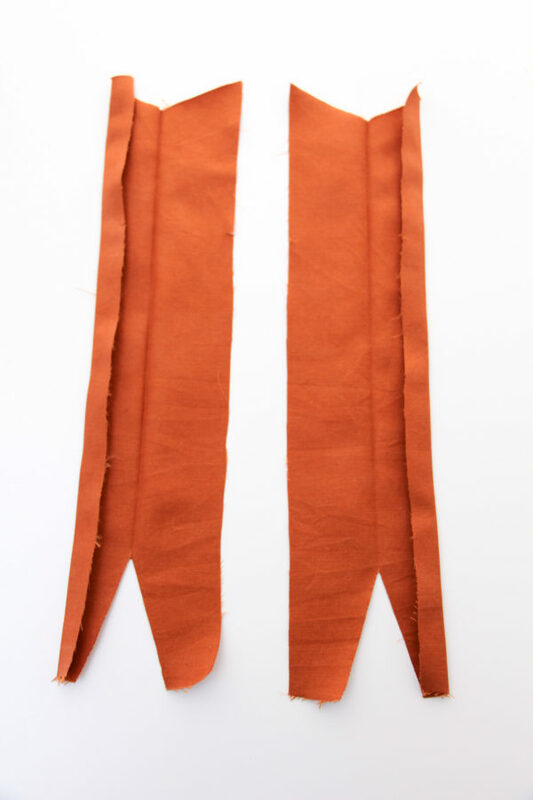 Place the two Skirt Back  pieces right sides together and so that the centre back notches line up. Sew 5/8” (1.5cm) from the raw edge. Finish the raw edges by your preferred method. This may be overlocking/serging or zig zag stitch on a regular machine, binding etc. 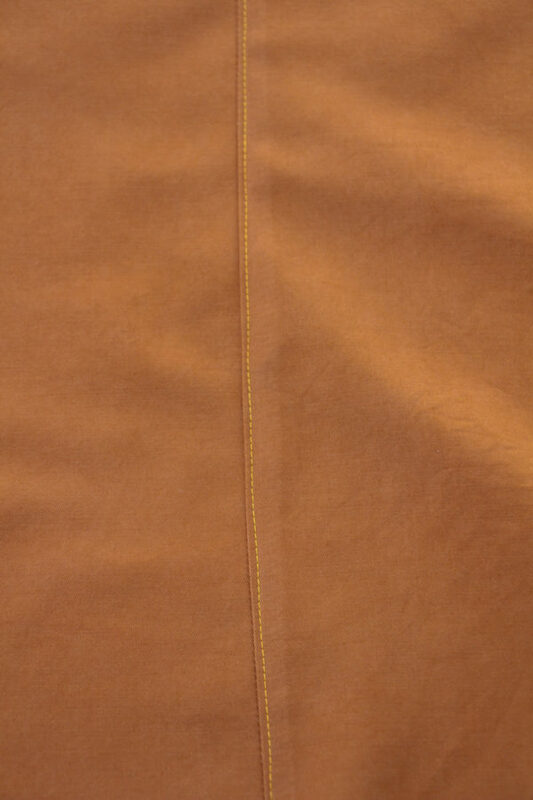 You can also topstitch along the back seam like I did above. Since i finished my raw edges together and press them to the side, i just topstitched along one side of the seam. 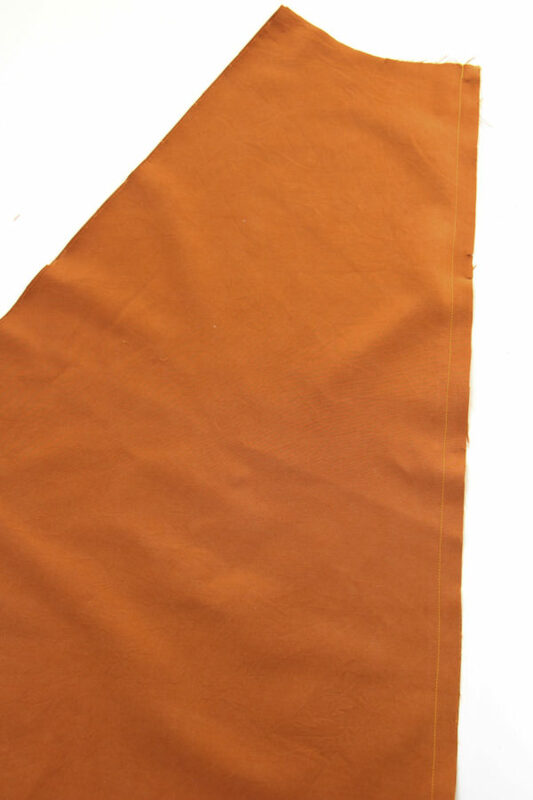 However on our lookbook sample, we finished the raw edges of the centre back separately, pressed them open, and topstitched on either side of the centre back seam. It’s up to you! 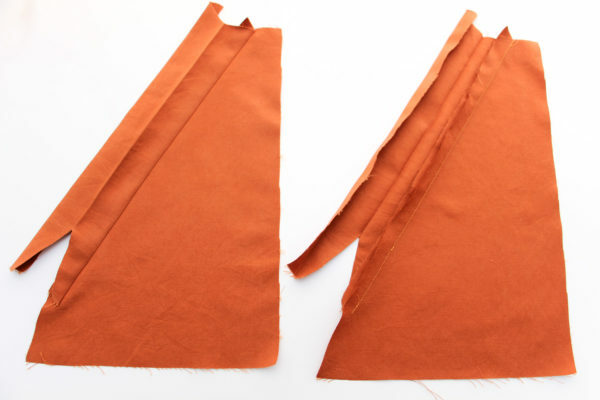 Place the skirt front pieces and skirt back right sides together and so that the side seam notches line up. Sew along the side seams 5/8” (1.5cm) from the raw edge. Finish the raw edges by your preferred method. Press the seams open or towards the back of the garment. As you can see i pressed towards the back of the garment. I personally prefer this as it’s hard to press the seams open neatly with the pocket bulk, pressing towards the back feels more natural and less bulky. If you’ve decided to topstitch everything like me (you honestly don’t have to topstitch extra things like seams, i just like it!) then now is a good time to topstitch the side seam as i did above. 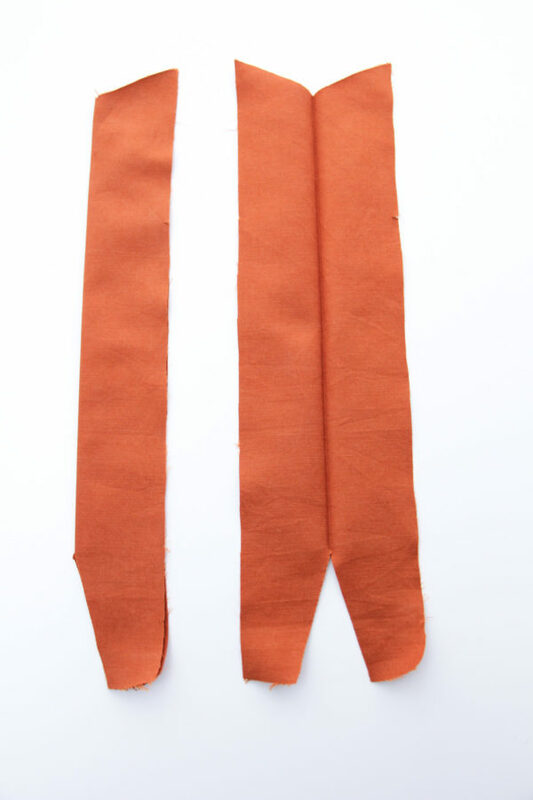 The last thing to do is staystitch along the waistline just under 5/8” (1.5cm) from the raw edge. Clip the seam allowance in regular intervals being careful not to cut through the stitches. 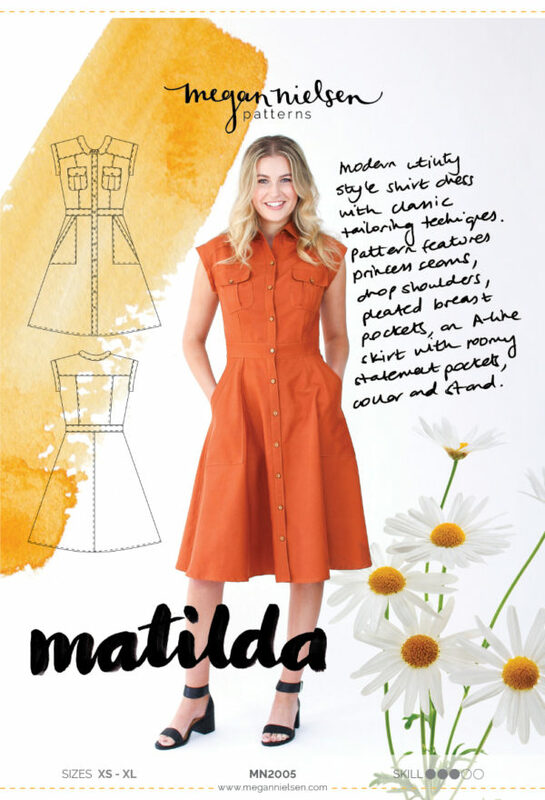 Don’t have the Matilda sewing pattern yet?! Order Matilda today! We absolutely love seeing what you make, so don’t forget to tag your creations with #MNmatilda and @megannielsenpatterns when sharing on social media, and check out what everyone else is up to!